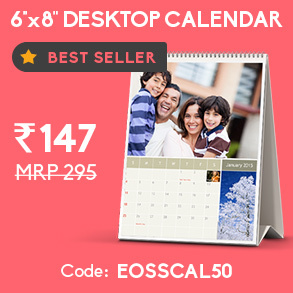 Discount Coupons & Offers: Ending soon - upto 67% off on Photo Calendars. Hurry - the End Of Season Sale on Calendars closes on Monday, January 19, 2015. 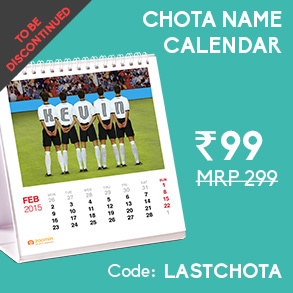 • Calendar sale ends on Monday, January 19, 2015 at 11:59pm IST. • No limit to the number of times you use these coupon codes. • Apply coupon code in cart to get your discount. App offers will be applied in-cart on the ZoomIn App – no coupon required. • Coupon codes are non-combinable. • Shipping charges and taxes applicable per order. 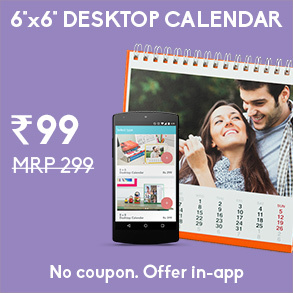 • This offer is only valid on www.zoomin.com/in.